Did you know that many dental fillings can actually be prevented? Wouldn’t it be nice to avoid having your mouth and face numb and then getting used to a new filling in your mouth? 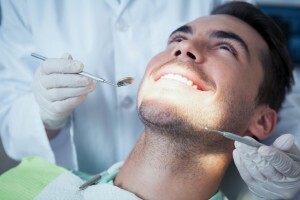 If you’re proactive about your oral health, many dental conditions such as tooth decay and gum disease can be avoided, and your dentist in Bay Shore will tell you how to do this! Your preventive care appointments are truly your best defense against many dental issues, and that’s why Dr. Rosenfeld recommends that you visit East Islip Dental Care every six months, or twice per year. We will screen you for conditions such as tooth decay, cavities, gum disease, and oral cancer at every checkup to ensure that we detect these issues in their earliest stages. In many cases, Dr. Rosenfeld may see tooth decay beginning when he takes an x-ray of your teeth. Early detection means that you’ll be able to treat it with our least invasive procedure, and some patients are even able to reverse tooth decay with improvements to their home care routine, which means they can avoid a dental filling altogether. During your teeth cleaning in Bay Shore, our hygienist will remove the plaque buildup that causes many of these dental issues. We also take the time to educate our patients on proper techniques for brushing and flossing so you can be sure to make the most of your home care routine. Brushing and flossing regularly are important for cavity prevention, and yes – you do need to floss every day. Flossing your teeth removes plaque buildup from in between your teeth, helps strengthen and protect your gums against gum disease, and it needs to be done at least once per day. As a bonus, it also helps to freshen your breath. You should be brushing your teeth at least twice per day for two minutes each time. Use a soft bristle brush to avoid harming your gum tissue and toothpaste with fluoride to help give your teeth added protection against cavities. Many of our patients have invested in electric brushes, which do the hard work of brushing for you while protecting your gum tissue from injury. We’ve found that patients using electric brushes typically experience less plaque buildup than those who are brushing manually. Would you like to learn more about cavity prevention or get your next appointment scheduled? Contact East Islip Dental Care today to schedule!